Netflix’s Gilmore Girls revival is moving forward, and it’s moving forward fast. We’ve already learned that most of the show’s main cast members will be returning for the series, and it looks like the few who haven’t been confirmed are being confirmed rapidly. 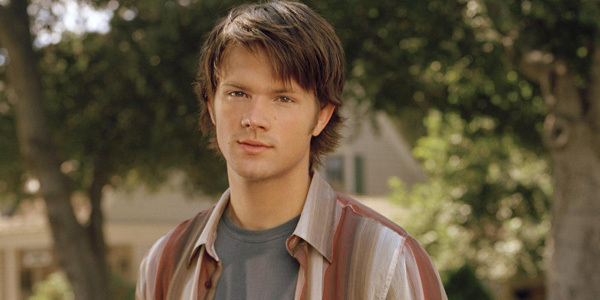 This morning, we learned that Jared Padalecki, who played Rory’s former beau Dean on the series, has joined the new cast. In addition to that announcement, Rory’s Dad Christopher Hayden (played by David Sutcliffe) and Paris' college boyfriend Doyle (played by Danny Strong) will also be a part of the series, as well. Obviously, the biggest news here is Jared Padalecki. Over the last couple of days, we learned that Milo Ventimiglia and Matt Czuchry would both be a part of Gilmore Girls 2.0. If you’ve already seen every moment of Rory Gilmore onscreen existence, you should know that she went through a few serious boyfriends on the series, Dean, Jess and Logan. Now that they’ll all be making an appearance, we should theoretically be able to catch up on where they are in their lives. Padalecki’s casting is actually pretty big news, considering he’s currently a lead on the CW’s Supernatural and the scheduling with multiple gigs isn’t guaranteed to work out. Dean is also one of Rory’s most popular boyfriends, so doubtless a lot of fans are super pleased about this one. TV Line’s been all over a lot of this news, and is now reporting that Danny Strong has worked out a deal to come back as Doyle. Doyle was Rory’s editor at Harvard for a long time and later dated Paris, leading to a lot of funny comedic moments. I’m assuming if he’s still around, his relationship with Paris will still be a thing, but there’s always a chance the show might figure out another way to shoehorn Danny Strong’s character in. Finally, David Sutcliffe will be returning to the series to reprise his role as Christopher, Rory’s father. He really wasn’t around much in the beginning, but he did make an effort later on, although things went sour after he and Lorelei got back together and briefly got married. (Worst idea ever.) Still, Christopher is Rory’s dad and he certainly should be included in the upcoming lineup, even if he and Lorelei didn’t work out (numerous times). I wonder if he ever got back with Sherry? I’m sure we’ll find out. Although Gilmore Girls is hiring some newcomers, a lot of the cast will look really familiar, and this should mostly be a good thing. Since there are only four 90-minute episodes being produced, my one worry is that some of the people who are back for the revival will sort of be thrown into the mix in random ways rather than carefully scripted in ways that make sense. Showrunner Amy Sherman Palladino generally has her act together, but this is a totally new format for Gilmore Girls and I hope it is one that works. For now, if you’d like to see who is returning to the Gilmore Girls revival, here’s the long list.